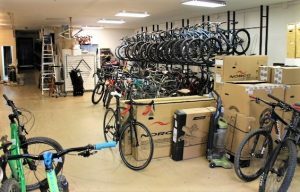 The owner of a Chester bike shop soon will offer his cyclist customers something different to fill up their water bottles. 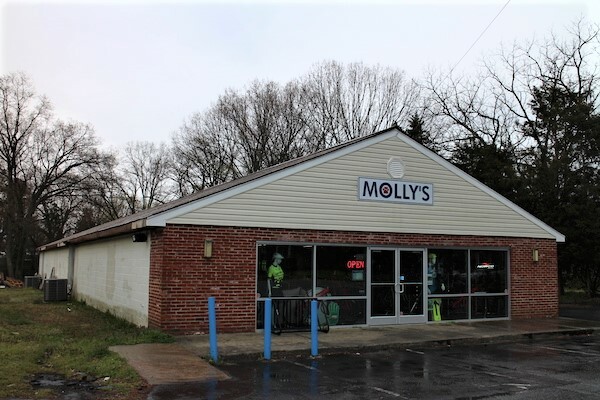 Louis Scheer is preparing to open Molly’s Blind Dog Brewery, a small beer-making operation that will be housed inside his Molly’s Bicycle Shop at 4515 W. Hundred Road. Scheer, a San Diego native who has owned the bike shop since 2013, said he was inspired by a tale of a similar bike/brewery concept that one of his mechanics visited before moving up north for a job at Molly’s. When Scheer heard how well it was doing, he decided adding a brewery to Molly’s would give folks another reason to come in. The bike shop is converting part of its storage space for a microbrewery. Scheer is converting a space in the back of the 4,800-square-foot shop that’s currently being used for storage. 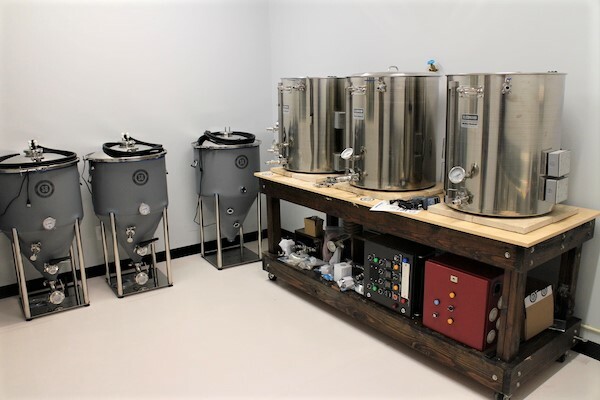 He said he has purchased a one-barrel brewing system, and that packaging and distribution aren’t in his immediate plans. “I only have four fermenters. I’ll attempt to have about six beers with a cream ale, an IPA and double IPA, and a stout,” he said. He plans to open the brewery sometime between May and July. It’s the second brewery planned for Chester, joining Dancing Kilt Brewery at 12912 Old Stage Road. Scheer said that if the brewery takes off, he’d be open to getting a bigger facility to brew on a larger scale. Molly’s Blind Dog Brewery’s equipment. 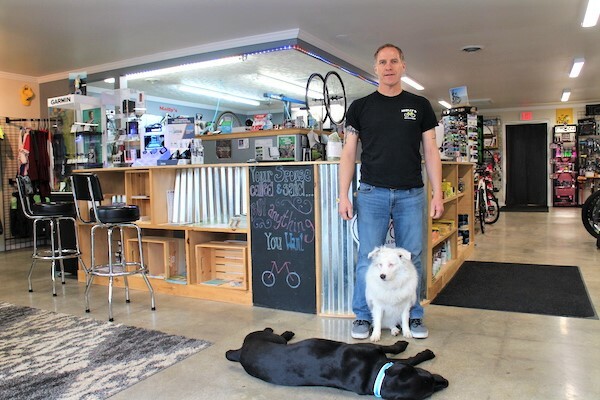 Molly’s Bicycle Shop had two previous incarnations before Scheer bought the business and moved it from Enon to its current location. Since its founding in 2000, it has been known as Pedals Chains and Things, and Cycle Solutions. Scheer named the shop – and now the brewery – after Molly, one of his adopted Australian Shepherds. She’s known as a “lethal white,” meaning she was born deaf and at least partially blind. He also has a black lab, Toby, and both dogs are fixtures in the shop. Molly’s Blind Dog Brewery will be located within the bike shop at 4515 W. Hundred Road. 4 Comments on "Local bike shop owner gears up for brewery offshoot"
It’s an interesting time in the Richmond area when the answer to everything is just add beer. I can’t wait for beer in churches. It’s already happening. It’s called Faith & Fermentation. Beer in churches is all the rage here in the Fan: https://www.stbenedictoktoberfest.com/. Even Catholics are throwing keg parties. Booze is flowing everywhere now. Beer to go with the wine already in churches?